SEMINOLE — There were so many unusual aspects to the sale of a certain Seminole villa that it’s hard to know where to begin. Is it with the fact the villa sold for $100,000 despite a cash offer of $128,700? Is it that the buyer was a Realtor in the same office as the listing agent? Is it that the Realtor immediately deeded the villa to the company of a Tampa developer on probation for a federal perjury conviction? That’s not all. It was enough, though, to make Samuel Buck think something was "kind of strange and funny." Buck, who had offered $128,700 for the villa, complained to the state agency that oversees Florida’s real estate profession. A year later, he’s never heard anything back. So the saga of the Seminole property remains one of those head-scratching transactions in a real estate market that’s gone from boom to bust back to boom. The two-bedroom, two-bath villa is in Westlinks, a community bordering the Seminole Lake Country Club. A woman named Lynda Lafair bought it for $193,000 at the peak of the market in 2006 and struggled with the mortgage. 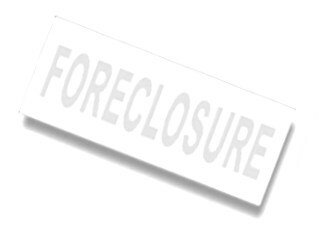 To stave off foreclosure, Lafair filed for bankruptcy protection four times between 2009 and 2014. Last year, the fourth case was dismissed — as had the prior three — after the lender accused her of a "bad faith" filing made solely to delay foreclosure. Deeply in arrears on her payments, Lafair decided to try for a short sale. Agent Michael Schaffer of Realty Resources put the villa on the market March 2, 2017. The price was $100,000, almost $30,000 less than anything in Westlinks had sold for in the preceding two years. On March 7, Schaffer showed the villa to Buck, a retired supervisor in St. Petersburg’s utilities department. He lives down the street and was interested in the villa as an investment. Though dated, "it was in move-in condition," Buck said. "It didn’t need a lot of repairs; the property was in very good shape." After Buck and a neighbor finished looking around, Schaffer told them he was taking bids starting at $100,000 and already had some that were slightly higher, Buck said. That day — March 7— Buck electronically submitted his offer for $128,700 cash. "I’ll get back to you as soon as I hear back from the lending institution," he said Schaffer told him. Buck, still thinking the bank was considering his and other bids, called Schaffer about a month later. "To get hold of him was a task," Buck said. "It took six to eight weeks. Then he said, ‘I haven’t forgotten you. You have the highest bid submitted. I’ll get back with you.’"
Months later, Buck called again. This time, Schaffer told him the bank had accepted a different offer. Records show that on Aug. 21, 2017, the villa sold to Brian Dahlberg for $100,000 — $28,700 less than what Buck had offered. Dahlberg is a sales associate at Realty Resources, the same St. Pete Beach agency where Schaffer works. He and Schaffer also are managing members of a company that buys and sells homes. Dalhberg had submitted his offer March 7, the same day as Buck’s. In a brief phone interview, Schaffer said nothing improper happened. Although both offers were made on the same day, Dalhberg submitted his first, Schaffer said. Why didn’t Schaffer wait for more offers before presenting something to the bank? "Everybody was above board with the first offer accepted," he said. "I had (Dalhberg’s) signed contract with the seller, and the banks only work with one offer at a time." The seller, Lafair, said she didn’t know, and didn’t care, that there had been a higher offer. "I just wanted to get out of a bad situation," she said. In a short sale, the seller and agent typically want the home to sell for as much as possible in case the bank hits the seller with a deficiency judgment — the difference between the amount owed and the sale price. "You try to get the highest, best price you can," said Jon B. Coats, a St. Petersburg real estate lawyer who has been involved in many short sales. "It’s in the best interest not only of the homeowner but also the Realtor." Another reason to get highest possible price: Even if the bank doesn’t file a deficiency judgment, the borrower still could have to pay taxes on the amount of debt forgiven. "It’s something to consider, for sure," Coats said. On the same day Dahlberg bought the villa, he deeded it to VC Real Estate Services III. No documentary stamp taxes were paid, indicating no cash changed hands. Five days later, with Dalhberg as the listing agent, the company put the villa back on the market — for $174,900. The new listing didn’t cite any improvements except that it had been "freshly painted throughout." Photos showed the same carpeting and dated cabinetry as when the villa first went up for sale seven months earlier. Dalberg declined to speak with a reporter. "I’m not interested," he said, and hung up. VC Real Estate Services was started last year by Clifford J. Davis, a Tampa developer who has built assisted living facilities in Florida and other states. In 2013-2014, the federal government filed forfeiture actions against Davis’ $110,000 Maserati and his $2.8 million South Tampa mansion. In their complaints, FBI agents alleged that the house and Maserati had been acquired through "proceeds traceable to bank fraud." Instead of using a $12.3 million loan to build townhomes, as the loan conditions required, agents said Davis spent part of the money on personal expenses including the house, car, travel, entertainment and purchases at luxury retailers like Louis Vuitton Las Vegas and Chanel Beverly Hills. Although Davis was not charged with bank fraud, he pleaded guilty in 2016 to one count of perjury and was put on probation for five years. He also paid $400,000 to get back the Maserati and settle the forfeiture action on the house, which he still has. Davis did not return calls and an email seeking comment. When Davis’ company put the Seminole villa back on the market, it went under contract in three days. The sale closed a month later for $150,000 — $50,000 more than it had sold for seven months before. Buck, the neighbor who lost out on the villa, says $150,000 is about what the property was worth when he submitted his offer. He still doesn’t understand why the villa initially was priced at and sold for just $100,000, especially considering what happened afterward.